One SEO signal is the age of the domain name. The Google engineer Matt Cutts mentioned that the domain name age wasn’t important. However, in the same video he mentioned that the inbound links age was important. Already existing domain names possess inbound links and that’s the main difference with a brand new domain name. Thus, people who buy an already existing domain name can benefit from the existing inbound links that point to the domain name. For sure, when you buy a domain, many pages are lost. However, many pages point to the root domain. Theoretically, a customer of an existing domain name should benefit from the Google juice carried by the inbound links that point to the root of a domain. 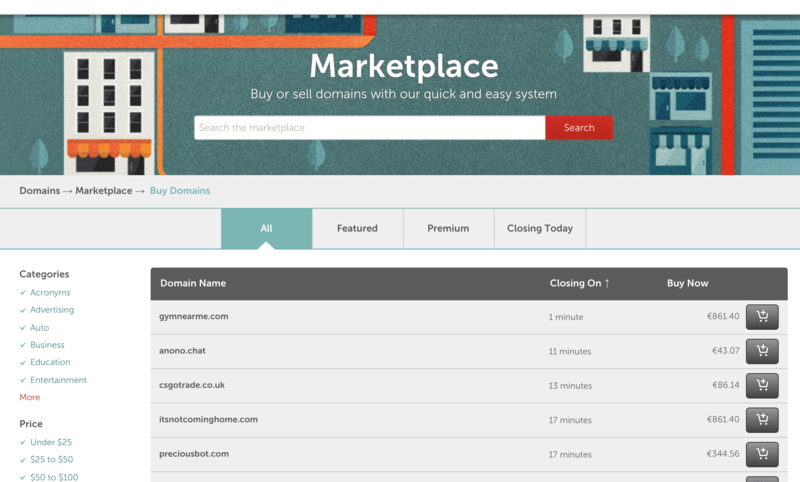 You can buy already existing domain names at the domain name marketplace of Namecheap.